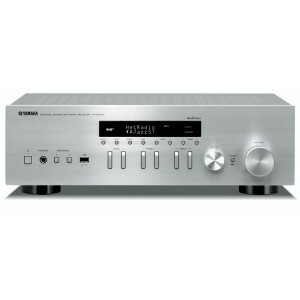 A second generation R-N402D Hi-Fi receiver Silver with support for MusicCast, including DAB tuner. It provides richly resonant, high quality sound from high-resolution sources, streaming services and smartphones as only a Yamaha Hi-Fi component can. MusicCast employs a high performance wireless network to deliver music and audio enjoyment. It can stream digital music content from your smartphone, PC or NAS to other MusicCast devices in your home. It can also share the music from external devices such as a CD player or TV connected to the R-N402D. Audio content from Bluetooth-connected smartphones or tablets can also be streamed to MusicCast devices in multiple rooms. The R-N402D is equipped with the latest Bluetooth technology, making wireless operation more convenient than ever. You can stream music from the R-N402D to Bluetooth headphones for private listening or to Bluetooth speakers. 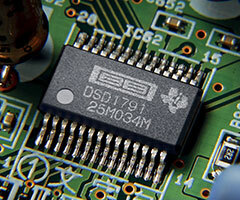 The R-N402D provides a USB port on the front panel for quick connection of USB flash drives. You have instant access to all your stored music, and the digital connection ensures that you hear it with the highest possible sound quality. The R-N402D is equipped for digital audio input — with both optical and coaxial terminals. The optical is for receiving audio from a TV, and the coaxial for receiving audio from a Blu-ray Disc player. The audio stays in the digital domain, giving you pure, pristine dynamic sound for all your entertainment sources, from sports and other programmes to movies and concerts. With a beautifully simple and unique design inherited directly from Yamaha’s HiFi audio components, the R-N402D also boasts an easy-to-operate button layout. The aluminium front panel has a richly textured silver hairline finish. The control knobs are also of the same luxurious construction as used on our top-end models. Both inside and out, everything about the R-N402D demonstrates our commitment to superior design and operability.